Olfa Rotating 12 inch Rotary Mat. 'Olfa Self Healing Rotary Mat 24 x 36 inches' Green mat with yellow lines. View Large Image Omnigrid The Fold Away 12"x18"
The Fold Away Omnigrid 12"x18"
View Large Image Quilters Select Cutting Mat 12" x 18"
Quilters Select Cutting Mat 12" x 18". Self-healing, multi-layer mat is usable on both sides with a light background featured on one side and a dark background on the other. 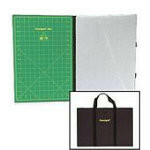 View Large Image Quilters Select Cutting Mat 18" x 24"
Quilters Select Cutting Mat 18" x 24". Self-healing, multi-layer mat is usable on both sides with a light background featured on one side and a dark background on the other. 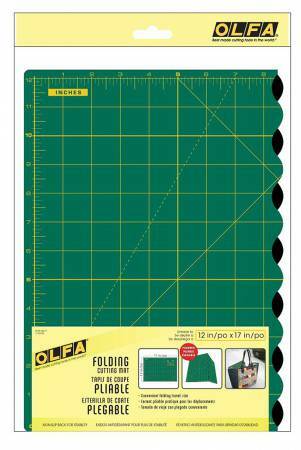 View Large Image Quilters Select Cutting Mat 24" x 36"
Quilters Select Cutting Mat 24" x 36". Self-healing, multi-layer mat is usable on both sides with a light background featured on one side and a dark background on the other. ''Olfa Self Healing Rotary Mat 12 x 18 inches' Green mat with yellow lines. 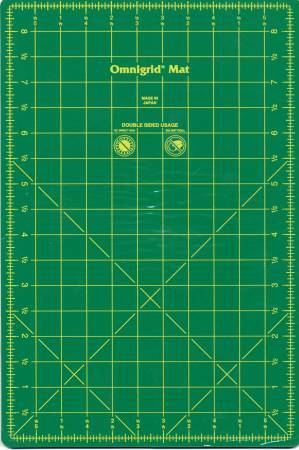 'Olfa Self Healing Rotary Mat 18 x 24 inches' Green mat with yellow lines.